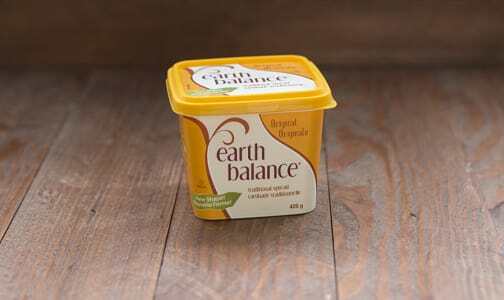 An ideal balance of natural vegetable oils from the world over with a rich taste, this non-GMO, expeller-pressed buttery blend contains soy oil from the fertile American Midwest. 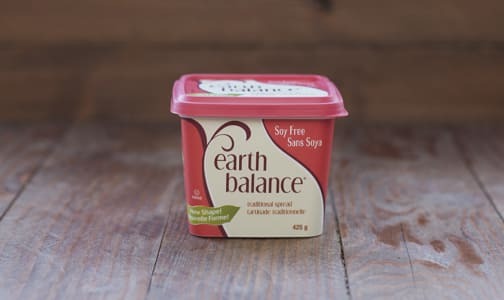 Made up of rich oil squeezed manually from the fruit of the palm, grown in the sun-drenched earth of Malaysia; cold-pressed canola seed oil from the cool growing fields of Canada and savory olive oils from the Mediterranean Region, it is guaranteed to be non-dairy, 100% vegan, gluten free and certified kosher. 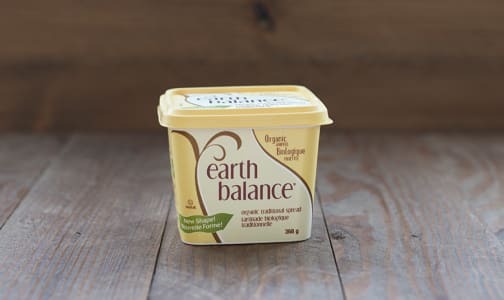 Earth Balance is the leading spread in the natural food category, more than four times better selling than any butter brand or margarine-style spread.